As baby boomers prepare for retirement, many have a vague feeling that they’d do well to insure themselves against the potentially disastrous cost of long term care. But when they start delving into the details of long term care insurance—perhaps by conducting research on the Internet—they find the subject to be unpleasantly complex, confusing, and downright mysterious. But understanding and weighing your many options need not be a drawn-out and harrowing experience. Here are seven simple points to bear in mind that can serve as a compass as you navigate the various plans and policies currently available. 1. Be sure not to purchase more coverage than you need. Before purchasing insurance, get a feel for the costs you’ll need to cover. What can you pay out of your own pocket? What can’t you? Then, draw up a realistic “budget” of what you’ll need, and how much it will cost. 3. Don’t forget about the effects of inflation on health care costs. It’s no secret that inflation and health care costs are retirees’ two worst enemies. Inflation of health care costs can be especially devastating. You can protect yourself by including “Compound Inflation Protection” in your policy. Yes, it comes at a price. But the peace of mind of knowing that your benefits will keep up with rising costs is probably worth it. 4. Consider your family situation. What will the effect on your family be if you or your spouse require special care? Is anyone in your family willing and able to provide it? Or will you need to enter a nursing home? It’s unfair to your loved ones to ignore these issues while you’re still self-sufficient and healthy. The day may come when you are no longer in a position to take care of yourself, or even to make intelligent decisions. If you’ve made no preparations, you’re essentially foisting an onerous and burdensome situation onto your family—a situation that could have been avoided. 5. Understand what Medicare covers—and what it doesn’t. Many people sidestep the issue of long-term care by assuming that Medicare will cover the cost of any and all care they may need in their declining years. This is simply not true. When discussing your insurance needs with an agent, emphasize that it is important to fill in the “gaps” in Medicare’s coverage. 6. Don’t forget about geographic factors. 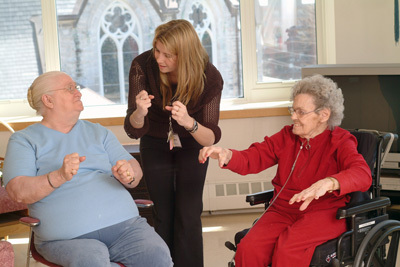 Costs of long-term care can vary widely from region to region. If you need long-term care, where will you want to be? Near where you live right now? Close to a child or other relative? In a warmer climate? Once you’ve narrowed down your choices, contact some facilities in the appropriate areas and inquire into their rates. This will help you understand what the real costs will be. 7. Get the right coverage at the right price. A good way to do this is by comparing the prices and the coverage from several different insurance companies to see which ones offer the best rates with the most amount of coverage. A little bit of shopping around will both save you money, and give you a feel for what is reasonable, and what is not. Yes, choosing the right long term care insurance can be a challenging task. But by tackling it while you’re still young and healthy, you can avoid creating an undue burden on your loved ones—and yourself—at a time when you’ll be much less able to bear it.